We are praising God and rejoicing in the Lord for Sabet’s safe travel to and from America in May. He successfully was able to reconnect with ministry partners, visit family and friends and update many on our progress in Tonj. This is a calling to bring Jesus to the Southern Sudanese people and something you all have been part-takers in. Sabet was so encouraged and blessed by the outpouring of love many of you showed him during his visit. Thank you for sharing your time and resources with us so we can continue in this amazing ministry for another 14 years and beyond! He was humbled by the kindest and provision for all his needs while he was stateside. Thank you for being such awesome partners to us as we serve our Lord Jesus in South Sudan. 1,000 out-patients are seen every month in our Tonj clinic. Over 100 patients are seen each week at our Maloney village outreach. The Antenatal clinic is seeing over 100 pregnant mothers every week, with an average of one birth every day in the clinic. The clinic gives immunization to over 130 children under the age of five per month. We only experienced 5 deaths in four months, this is truly a miracle for South Sudan. We only had to refer nine cases for further treatment in four months, our lowest to date. We admitted over 40 patients a week, even though we are not a hospital we often offer these services knowing the patient would die if we didn’t. In four months over 4,000 heard the gospel message as they waited to see the doctor or nurses. Over 800 patients got to pray with our pastors one on one; accepting the Lord Jesus as Savior and each one received spiritual counsel. This need has resulted in 7 church plants. The Jesus film has been shown to over 400 students in 2 months resulting in a Youth bible study with IDAT pastors. As you can see we have a lot to be praising God for and much to be praying about as the ministry and the needs continue to grow and more people are reached with the Gospel. 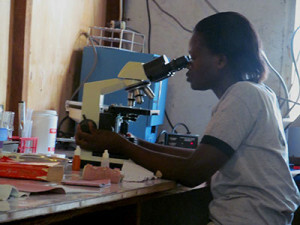 The doctor’s at the Center for Tropical and Travel Medicine in Nairobi have given us one of their trained Lab Techs to work in the clinic. Dr. Ruth explained that if the lab tech gets it wrong then all the work of the doctors and pharmacists is also a waste of time. That is why she retrains every lab tech that comes to her whether experienced or straight out of school as nearly all of them need it. Getting the right lab tech is critical to the clinic running efficiently and so we are so blessed to have Maureen join our team and share her skills with the community of Tonj. Please pray for her as she settles and experiences South Sudan for the first time. Exciting update from Tonj, so wonderful! Glad to hear about recent addition of lab testing, and praying for Maureen as well as rest of the team. Praise God! My family and I pray to our Lord and Savior Jesus for this ministry and love you all dearly! Thank you for all you do in Christ’s name! Wow! 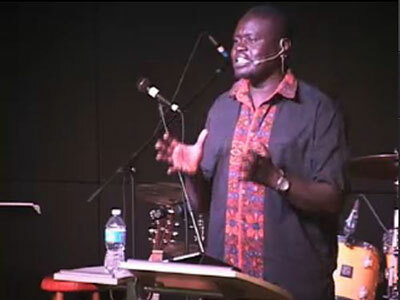 The Lord is using your ministry to move mountains in South Sudan! What a blessing to be able to see the fruit of your hard labor over these 14 years. May He continue to grow your ministry and outreach to the lost. May He cause His grace and mercy to flow upon you, your family, your staff and workers to overflowing! What an amazing testimony of your faithfulness and obedience…what an amazing testimony of His faithfulness and love!